Helps you stop smoking. 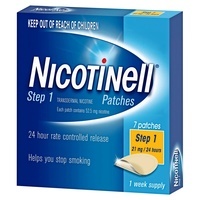 Nicotinell patches are a step down approach which will reduce your nicotine dose gradually, rather than stopping suddenly. 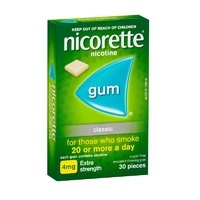 Each step has a specifically designed patch that supplies your body with nicotine over a 24 hour period. Do not use if you are under 12 years of age. Do not use if you are a non-smoker. Do not use if the sachet seal has been broken. Consult your doctor or pharmacist before use if you are under 18 years of age; you are pregnant or breastfeeding; you have uncontrolled high blood pressure; you have kidney or liver disease; you take insulin for diabetes; you have an overactive thyroid gland or adrenal gland cancer; you have a skin disorder such as psoriasis or dermatitis. Do not use unless a doctor has told you to if you have had a heart attack or stroke, or you have circulatory problems. 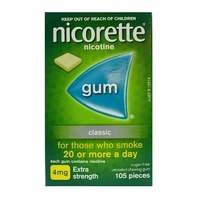 This product contains nicotine. Stop smoking aid. Always read the label. Use only as directed.